By now you’ve probably heard of and/or played games like Spikeball® or Slammo. You may have even introduced them to your PE Program or purchased a set to have at your summer camp or after school program. Besides being fun and engaging, these games can provide a challenge, even for athletic players. They are similar to volleyball – physically demanding with quick movements, hand-eye coordination, and then throw in strategy – well you’ve got yourself quite the physical activity! 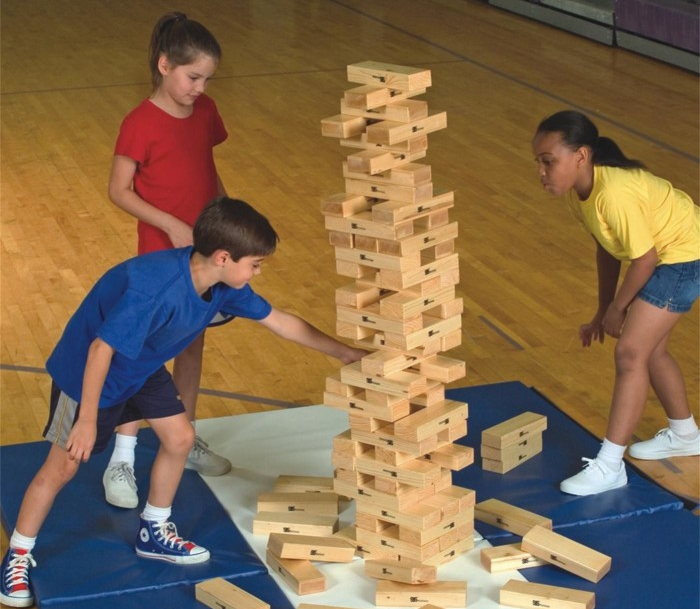 Introducing different types of wall, net and floor spike games can be really rewarding for students for a number of reasons. The games are fun, fast paced, challenging AND they are relatively new – so it’s exciting! Plus, there are a number of skills that are addressed using SHAPE National Standards for K-12 from striking and volleying, to strategy and creating space. However, since all children do not have the same physical or athletic abilities, and all teachers and programs have budget constraints, there is a need for modifications for some of these popular games. We’ve shared 4 ideas below for you that allow for budget-friendly and inclusive choices. How do you make accommodations so all students maximize their skills in other applications like tennis, badminton, and volleyball? Each of the variations below allows you to meet the standards in wall/net games, tier the instruction, and make necessary accommodations for the variety of abilities you teach. If you have any questions or have a student with particular special needs that you are trying to modify one of these games for, leave a comment below and we will offer suggestions. When introducing this sport you can modify the rules for allowing throwing and catching, especially when you are introducing to younger students. 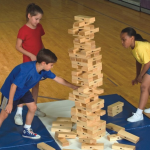 Feedback from Physical Education teachers has shown that the sport does best with 5th grade and higher, however as you will see below, there are ways to get younger students to understand the game. This budget-friendly alternative can be purchased as a single game of Smash-It or in an easy pack for 6 games. Skip the net and reduce set-up time with this team-oriented volleyball-type game. Players compete against one another or in teams of two. The first team serves the Smash-It ball into the ring, and the other team must return it back into the ring. The ball can be passed to a teammate up to 3 times before they have to return the ball, but if your team misses the other team gets a point. You can also try a little DIY and create the game yourself using the following materials. To modify up or down, you can even experiment with different circles of varying sizes. Smash it balls or vinyl balls. Add some bounce to the Hula Hoop/Smash-It ball combo with the Ricochet Reaction inflatable target. 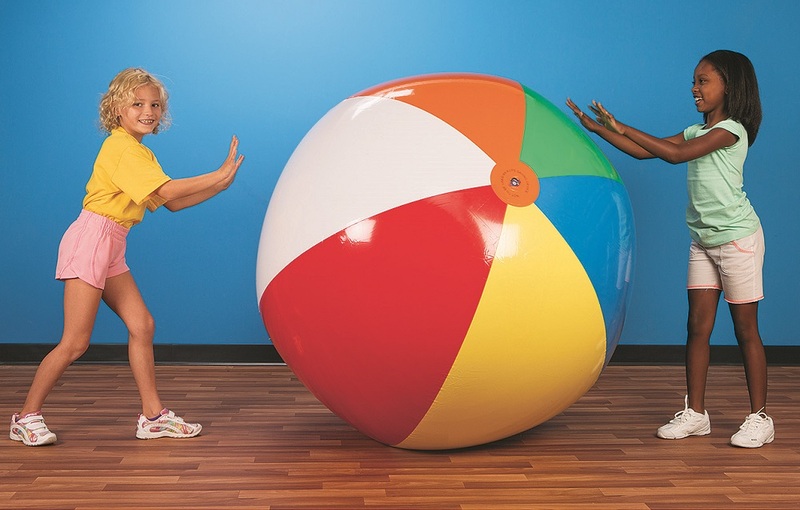 It has an uneven surface, so you never know how the ball will bounce, which adds an extra challenge. The game is played with teams of 2 players per team, with the inflatable target placed between the teams. A player starts a point by serving the ball down on the target so it ricochets up to the opposing team. That team then has up to three hits between them to control the ball and bounce it back off the target. When one team fails to bounce the ball off the target on their turn, the other team scores. They miss, you score. The first team to 21 points wins the game. This is a great variation because it is budget friendly, easy to store, and easy to travel with or even bring outdoors. This game combines elements from multiple ball, net, and floor games. The Spyder Pong net allows you to play higher off the floor, and you can use your hands or paddles to pass the foam ball. You can also try various different balls for an added variation, including beach balls, Have-A-Balls, or a Gator Skin Softi 5. We have featured this particular game at many conferences over the past 12 months and it is very popular. It is portable and assembles in minutes! This game is also perfect for Adapted PE. Sticking to the original games? We have the combo sets for both Spikeball and Slammo. Both of these games come with a net and were originally designed for the beach, so the balls need the nets to actually “bounce”. 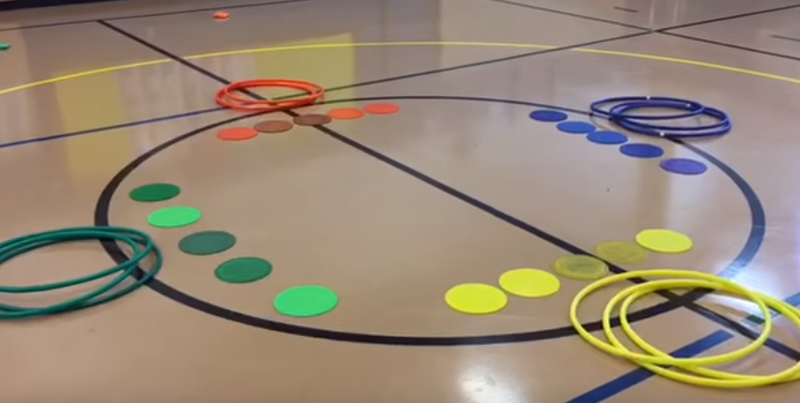 If you are not familiar with Spikeball or Slammo, they are fun and energizing games for 2-4 players, where an ankle high, hula hoop sized net is placed between the two teams. The goal is to hit the ball down onto the net, so that it bounces up at your opponents. They must return the ball within 3 hits between them, just like volleyball and similar to all of the above games we mentioned. The challenge is to control and bounce the ball. If you miss, the other team scores. The first team to 21 wins. More About the Author: Brian Armstrong began working with S&S Worldwide in the spring of 2015. His background includes 9 years as a Middle School Special Education teacher, 5 years as an After School Program Manager and Summer Camp Advisor, and 3 years as a Fundraising Consultant. He has three children that have helped him become an expert in the products and activities that he works with at S&S. Fusing his personal and professional experiences, Brian has been a huge support to his his customers and co-workers with providing solutions and ideas for their programs. 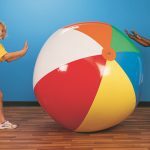 This entry was posted in Active Play, After School, PE Activities & Games, PE Central, Summer Camp and tagged afterschool, Games, indoor games, outdoor games, PE games, physed, Physical Education, slammo, spike games, spikeball, summer camp by Staff Blogger. Bookmark the permalink. The ricochet game what grade levels can you play it with and where can you purchase it from? Hi Jeff, the Ricochet Reaction game is great for grades 5 and up! A member of our staff tried this activity with some children at summer camp and recommends it for ages 10 and older. You can find it on our website here: http://www.ssww.com/item/ricochet-reaction-ball-W13666/. Let us know if you have any other questions! The game also comes with detailed instructions.